Showing all news posted in February 2014. 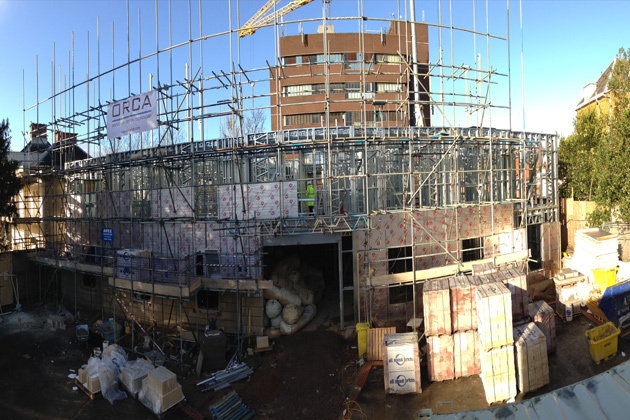 One of the latest AMA projects on site is now rapidly being erected on site at Cheyne Walk, Northampton. The project being constructed in Light Gauge Steel [LGS] is on site with Meldrum Construction Services and is now moving upwards very quickly with the time effective LGS method. The building is a purpose built scheme for the client in the Conservation Area of the town and is aiming to acheive BREEAM ‘Very Good’. It is due for completion in August 2014. Children from Greengate Infant School in Barrow made a short journey next door to the site where construction of Barrow’s new £6.5m Care Home is under way. 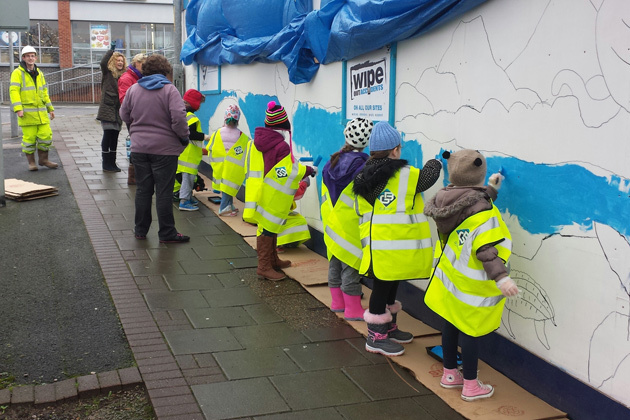 The children were invited by the main contractor, GB Building Solutions, to paint a section of the hoarding surrounding the site and decided to base it on a sea theme. The school children wanted to use the theme having recently read The Snail and the Whale, the tale of a tiny mollusc which hitches a ride on the back of a humpback whale. “AMA and GB have been working on the project for the past few years and getting the community to become heavily involved is really great to see. The children had an absolutely fantastic time”. The new 60 bed Care Home is labelled as being Cumbria’s premier Home with the brief to acheive University of Sterling Gold Standard.